DUI arrests occur under many different circumstances. Around Halloween they can get a little wierd. Police in Alabama responding to a report of a woman shot in her SUV the morning after Halloween found her bloody and slumped over the wheel of her vehicle at a Birmingham intersection. The woman wasn't shot, however. Instead, police said she had been drinking and was asleep in her car. She was still dressed in her Halloween costume, which appeared to be that of a bloody, pregnant zombie. Officers were dispatched about 8:15 a.m. to the intersection when a passerby called 911 after seeing the woman covered in blood and unresponsive in her vehicle at a traffic light. "You can see why someone thought she had been shot,'' said one officer. 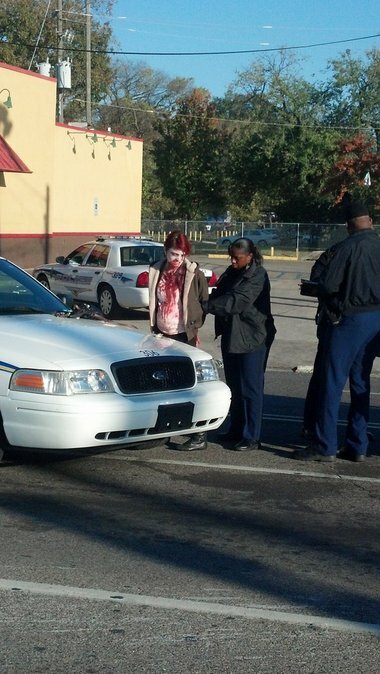 The woman was covered in fake blood and white face paint. Her "pregnancy" police said, was part of the costume. Officers roused the woman, and then removed her from her SUV. She was handcuffed, searched and taken to the city jail on a driving under the influence (DUI) charge. Anderson & Schuster, Attorneys at Law, LLC helps those charged with DUI and other traffic offenses. If you have been charged with DUI in Charleston, North Charleston, Mt. Pleasant, Summerville, Goose Creek, Hanahan, Moncks Corner, or the surrounding areas, give our DUI Defense Lawyers a call today. Your call is confidential and free of charge.